Wine tasting is a divine way to spend an afternoon or weekend, whether you are looking for a romantic date or a day out with your friends. 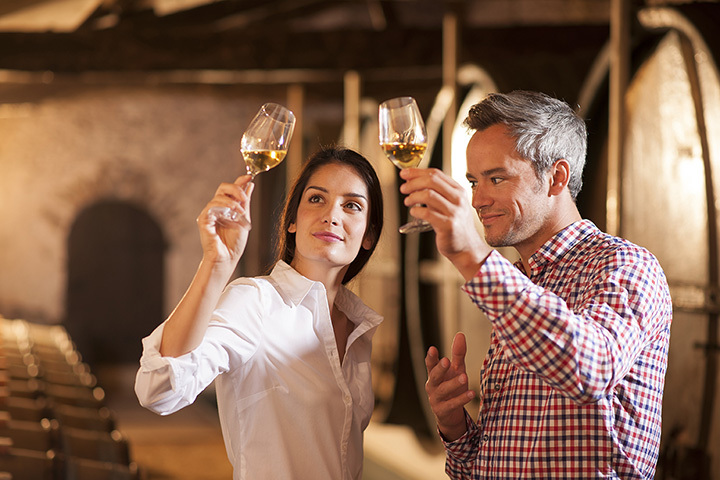 Maryland has numerous award-winning wineries for you to visit, sip, and enjoy. Here are our top picks. When completing your Maryland wine tour, you must stop at Boordy Vineyards. It is the oldest vineyard and winery in the state of Maryland and you can taste their fabulous wine from within a 19th century fieldstone barn. While only 30 minutes from Baltimore, you will feel a world away and their regular events make this a fun place to visit on an ongoing basis. They have received numerous awards over the years, including the Maryland Governor’s Cup, so you will enjoy spending the afternoon tasting your way around the award-winning vineyard. Winner of the Atlantic Seaboard Wine Competition and others, Basignani Winery produces fabulous wines and has been doing so for over 20 years. They host events throughout the year, so check their calendar or stop by for a wine tasting and picnic on their grounds. Be transported to the rolling hills of Tuscany without ever leaving the state. Running Hare Vineyard is on 300 acres of pristine, gorgeous and beautiful land in Calvert County. With a tasting and event space that rivals any European chateau, this is an excellent destination to bring a date, host or attend an event. Wine tastings are available Friday through Sunday with live music on Saturdays and Sundays. Wines like their Malbec have won numerous awards so you will enjoy every minute of your outing. Elk Run is a 33-year-old winery that has won over 650 medals and awards. They are known as being one of the best wineries on the East Coast and a fantastic place to visit. They have Wine Down Friday where you can enjoy glasses of wine while listening to live music and tastings are available Wednesday through Sunday. Knob Hall Winery offers classics along with unique blends like their Late Harvest Vidal that is similar to an ice wine. Winner of several Gold Medals, they produce high-quality wine in a spectacularly beautiful environment. They are also an excellent destination for hosting your wedding or family event. This is a fun winery to visit because they have a bed and breakfast. Their wine is award winning and nothing is quite as romantic as staying the weekend at a vineyard. Crow Vineyard is beautiful and peaceful, just what you need for a lovely weekend together. With a slogan of “Wind, water & wine… enjoy the view one sip at a time,” you can visit Mount Felix Vineyard and Winery on the shores of the Chesapeake Bay and enjoy a perfect Maryland afternoon. Fabulous views, award winning wine, the Maryland sunshine, and live music make this a fantastic destination. Unique honey, fruit and grape wines will delight your senses when you go wine tasting at Linganore Winecellars. Family operated since the 1970s, they invite you to come, enjoy, sip, savor, and have a great time. They have fun events year-round including bridal shows, dances, and concerts so check the calendar. For a culinary treat, attend one of their pairing dinners. Woman-operated and family-owned this vineyard and winery is located on a historic farm and estate. They have a tasting room where you can sip and enjoy wines fresh from the farm and for those looking for a romantic wedding destination, they are host to romantic and rustic weddings throughout the year. They have 11 wines to choose from and produce high-quality, delicious wines year after year. What makes Harford Vineyard stand out is that they will also supply everything you need to try your hand at winemaking, at home. Anyone who has wondered if they have what it takes to create something spectacular, can find out after being coached by their wine maker. They also host parties and events, like Purple Sunday where you can drink wine and watch the Ravens game or music events. Every weekend is fun and tasty at Harford Vineyard and Winery. View more Maryland Wineries & Vineyards.